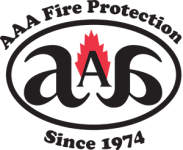 AAA Fire Protection Services provides comprehensive and affordable fire extinguisher services to businesses in Union City and throughout the East Bay area. Our fire extinguisher services are comprehensive and they cover the California code of regulations requirements. We do more than just service your fire extinguishers. We make sure that they work and that they are capable of working if needed. A fire extinguisher is the only line of defense if a fire breaks out and before the fire department arrives. For that reason, it is important that fire extinguishers be tested annually and recharged every sixth year. In addition to fire extinguisher services, we offer a full line of fire extinguisher sales. We offer all types of fire extinguishers and we help you place the correct type of fire extinguisher where it is needed. An example would be a fire extinguisher that is rated for kitchens or a fire extinguisher that is rated for electrical fires. We offer a wide selection of fire extinguishers and we help you by keeping them maintain. For more information about our services or for fire extinguisher sales, just give us a call at (800) 543-5556.